Bornite from a copper porphry deposit in Central NSW. Bornite is a copper ore mineral. These specimens have zones of oxidation to both malachite and chysocolla. This deposit is mined using an underground block caving method. 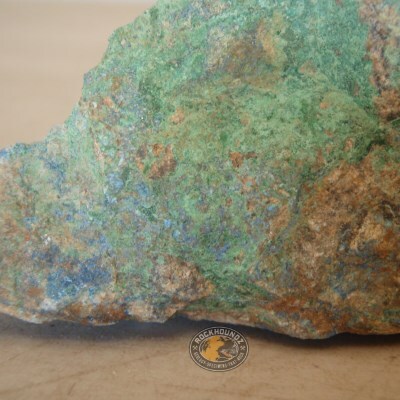 The ore is used to produce a high grade copper concentrate that is approximately 35% copper. Ask about availability of large shelf specimens for this product.